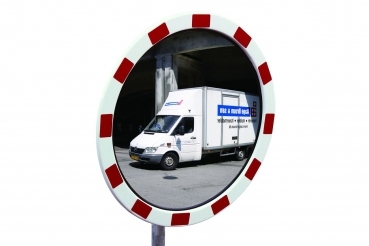 The mirror is manufactured in three versions: acrylic, polycarbonate and INOX. 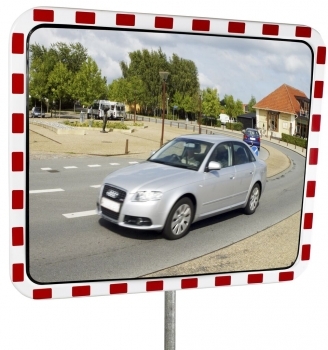 All versions are equipped with reflective foil type RA 2 from 3M and TÜV certified. Due to the robust material, the mirror is very well suited for many years of outdoor use. The supplied 4-point ball joint mount allows an exact and optimal attachment. 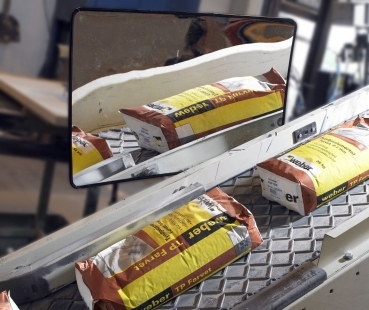 The mirror can be fixed either to the wall or to tubular posts (Ø 50-85 mm). The mirror is wind load tested up to wind force 12 (hurricane> 117 km). 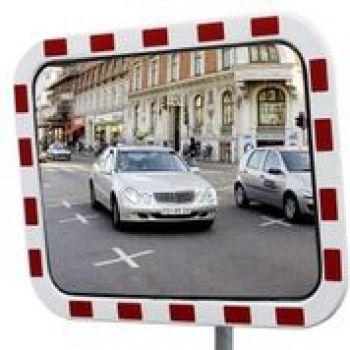 The TM Mirror increases safety on the road and on company premises.